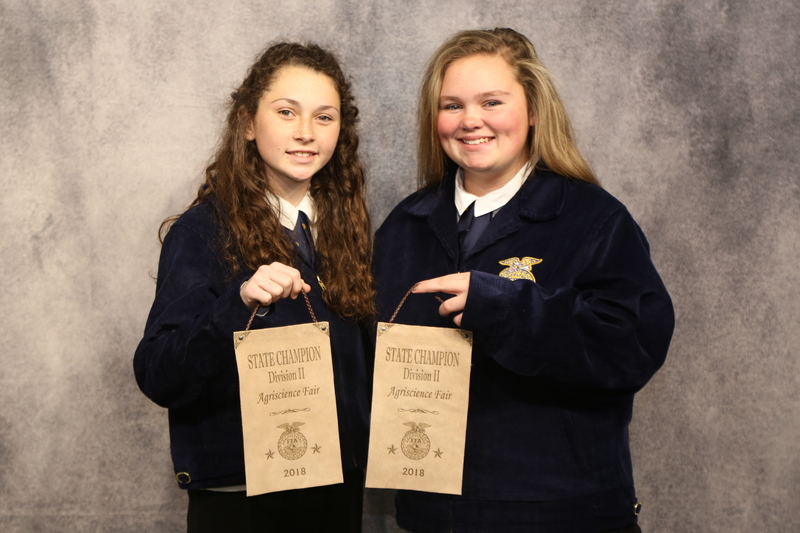 Kaylee Manasco and Kaylee Davis of the Smackover FFA chapter received first place honors in the FFA Agriscience Division II, Animal Systems area at the Arkansas FFA State Convention, April 23-25. The FFA Agriscience Fair recognizes students who study the application of scientific principles and emerging technologies in agricultural enterprises. Participation begins at the local level and progresses to the state and national levels. FFA is an integral part of the Agricultural Education division in the Arkansas Department of Career and Technology Education system. With more than 14,000 members and 202 chapters. The FFA mission is to make a positive difference in the lives of students by developing their potential for premier leadership, personal growth and career success through agricultural education. To learn more about the Arkansas FFA, visit arkansasffa.org.